To create a visible brand solution that is sophisticated, attractive and compelling in design, we pride ourselves on the open nature of our client relationships. We focus on designing solution based on end results. Defining the message we are trying to communicate to is almost as important as audience we are trying to communicate with. Make it impactful. Make it sell! To make sure your brand is being communicated the most efficient way we simply the process to ensure the long term success of your program/s. The demand for this type of business tool has reached great proportions since the 1990’s. Having someone with the experience and the patience to work with you and your team from discovery to implementation is imperative in today’s fast moving business climate. From custom and modular exhibits design, fabrication and turnkey asset management, we have the tools and experience to deliver. With over 15 years of experience developing creative and innovative marketing strategies for both large and small companies, we help companies BRAND by offering turnkey solutions for Trade Shows and Corporate Events. Our strategic alliances in this industry make us a world leader in design, fabrication and implementation of visual custom exhibits and event marketing strategies. We have the experience and the product that you would trust and respect in the working with an elite manufacturer. Design Driven, Mobius prints and provides our clients with both traditional and large format graphic solutions. From fabric structures, display hardware, and large format printing for exhibits, events and retail stores our design focus will elevate your brand and messaging through the collaboration of stretch fabric and flexible structural systems. From interactive trade show exhibits, event decor, in-store retail displays, and environmental graphics our expert team will help you establish a significant and differentiated presence in the area that attracts your retains your customers. Make it visible. Make it impactful. Make it sell. Mobius understands that you have priorities outside the trade show marketing walls. We want to help you save those valuable minutes to use on the things that matter most in your day. Offering turn key exhibit storage and management solutions, mobius is here to help you service your greatest investment: your brand. We operate complete service, storage and maintenance facilities in Orlando, Vegas and the Carolinas. Our Tech’s are trained to prep and inspect your exhibit every time it goes to show. Well make sure its fully functional when and where you need it most. With our online exhibit management software, your next event is only a click away. Ask your rep for a demo today. If we build it, they will come. Our worldwide network of certified installers make it easy to take your brand to places near and far. Mobius works within a dedicated and certified network of installation technicians worldwide. From dedicated supervisors traveling with your exhibit to Chad in Las Vegas or Chris in Orlando we understand the big picture and are eager to make your next event a success. As budgets have changed over recent years, so has the importance of custom exhibit rentals today. 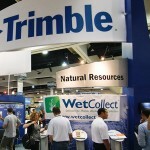 All clients want a custom look and feel to their exhibit footprint. So, we approach a custom rental as we would a traditional build. With a limited budget, we combine stock materials with custom elements to create something special. The result is something unique and engaging that otherwise would not have been possible. How To Fetch Profit From Used Exhibits? We have done business within several vertical markets, Craig is the guy to "get it done" with his exhibits/trade show displays and the stellar service he provides for his Customers..I know , I witnessed him in action!!! Smart, provides VALUE..highly recommend his talents, which is a great investmet for you! Mobiusexhibits © 2017 | All Rights Reserved.